See great art and enjoy an evening in downtown at the semi-annual Gallery Walk presented by the Chamber of Commerce of Greater West Chester. Visitors have the opportunity to discover the galleries, “one night only” art shows, shops and restaurants in downtown West Chester. 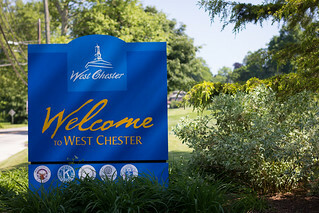 From contemporary to traditional whether its paintings or jewelry, the galleries of West Chester welcome the art enthusiast as well as the curious observer to explore the wonderful art of local and international artists. See who’s participating or pick up a Gallery Walk Map at participating store.